Cranfords are delighted to offer Kalimera to the local market. This competitively priced, low maintenance, two bedroom detached bungalow would make an ideal first time buy or a perfect retirement home. Although it has been well maintained over the years it would now benefit from some internal cosmetic upgrading allowing purchasers the opportunity to create their own stamp and decorative taste. 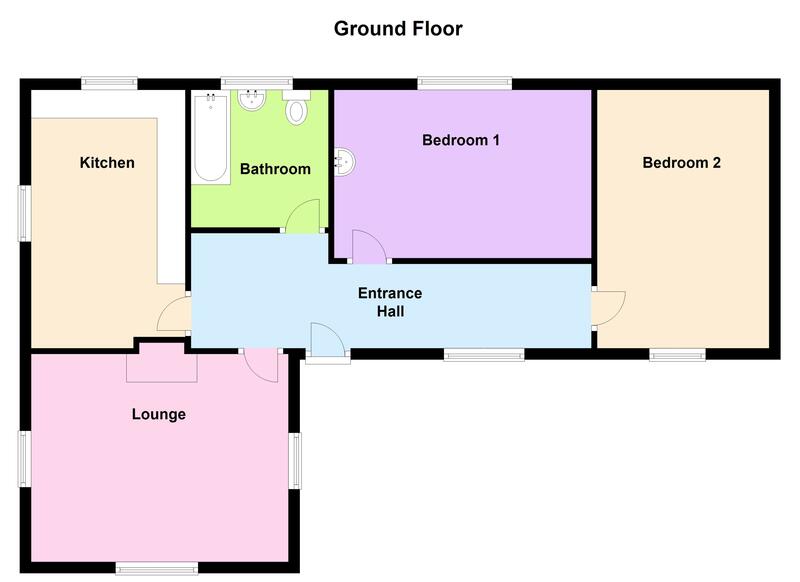 The property benefits from 2/3 parking spaces together with a manageable garden/patio area as well as a garden shed. The property is situated on the corner of a quiet lane and Sohier road and is ideally located for shops, local conveniences and near to bus routes. This property is likely to tick lots of boxes and internal viewing is highly recommended. Call Cranfords to book your viewing today! 15' x 9'. Appliances include 4 ring gas hob, fridge/freezer. 15' x 12'. Working fireplace. Main drains electricity and water. Oil fired central heating. Gas for kitchen.